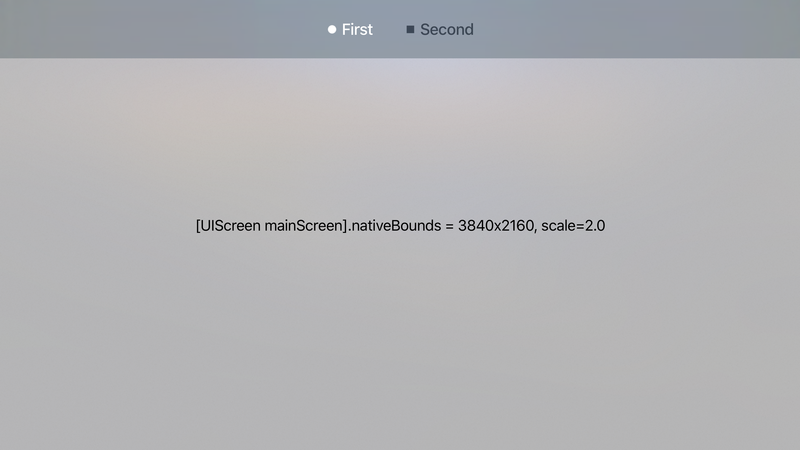 Prolific Apple developer and hacker Steve Troughton-Smith has messed around with the tvOS Simulator and coerced it into running at twice the standard HD resolution, 3840×2160, more commonly referred to as 4K. A new hardware box has been rumored for later this year, with 4K as a headline addition. 4K for Apple TV is really like the original Retina transition for developers and Apple engineers, simply pixel-doubling the render buffer in both dimensions from 1920×1080 to 3840×2160. 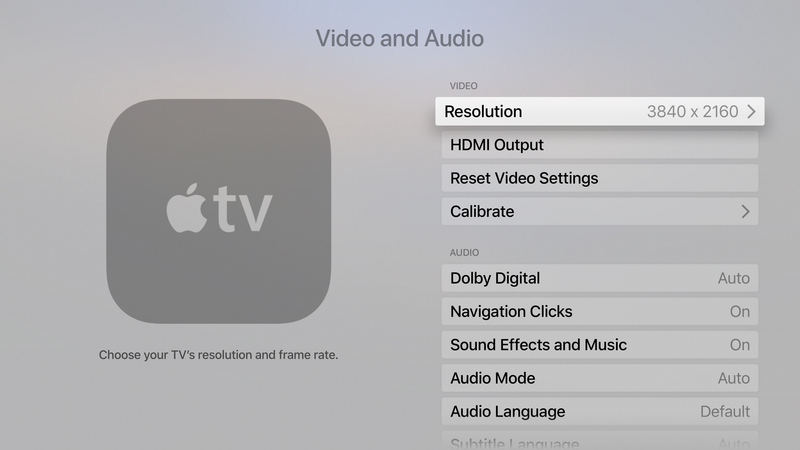 As the aspect ratio isn’t changing and the new resolution is a simple integer scaling, it means existing apps will be able to run on the 4K Apple TV without any layout changes, with system controls and text rendering upgraded automatically to take advantage of the additional pixels. Bitmap assets (like the app icon) and apps that use custom drawing will still require additional changes to look the best they can be. You can see the full-size versions of the screenshots here: (1), (2), (3). 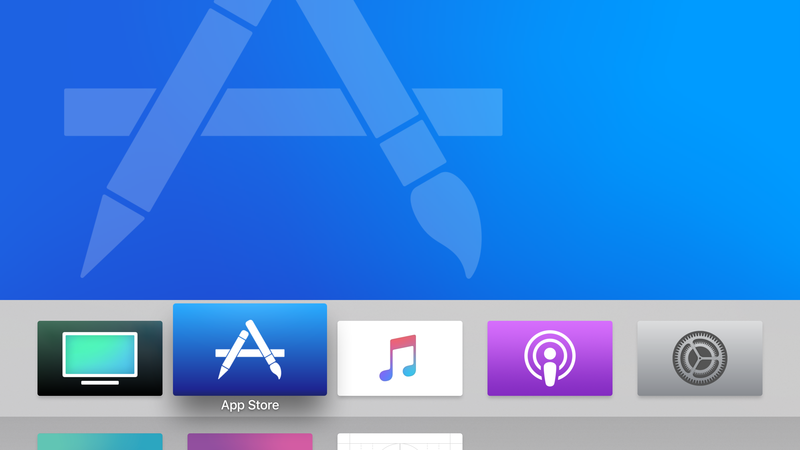 It definitely seems like Apple is already on that path, with the current tvOS seed already looking good at the new res. There have been several indicators that Apple is readying to announce a new hardware revision of the Apple TV set-top box; this software discovery is just the latest in the chain. In February, Bloomberg reported Apple was testing a new Apple TV with 4K support with Apple planning to launch in the fall, codenamed ‘J105’. Recently released HomePod firmware confirmed the existence of the ‘J105’ model identifier as well as oblique references to 4K integration, HDR10 and Dolby Vision for Apple TV. Apple’s iTunes service also seems to be preparing to offer 4K HDR content imminently. Apple is widely expected to host a media event for the new 2017 iPhone lineup in early September. Perhaps, the same event could play host to the new Apple TV launch.